Our aim at 911 Restoration Ventura County is to provide your home with top notch water damage repair and restoration that will make sure you property looks good as new. Our water damage Ojai professionals will be taking care of those roof leaks, sewage spills, floods, and pipe bursts for you. Whenever a leak of any kind occurs, it’s best patched up right away in order to prevent any further complications like mold growth. Because a quick response is the key to preventing the spread of damage, you can expect our water damage Ojai team to be there within 45 minutes of your call. Inspecting your home for any signs of fungal infestation. 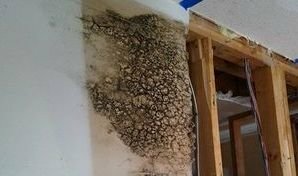 If we do detect any mold growth within your home, we will be conducting the necessary remediation using eco-friendly cleaning solutions. We will make sure mold along with any spores released into your home are removed right away. We’ll patch up leaking pipes and ceilings. Our water damage Ojai pros can extract water and remove moisture to prevent the spread of damage and help you avoid mold growth and wood rot by using the latest drying tools. We’ll make sure the damage is repaired and the affected area is restored back to pristine condition. To clean sewage spills, we will disinfect the affected area with industrial strength cleaning solutions that will kill bacteria without causing any additional harm to your property. Our water damage Ojai leak repair specialists will also repair any damage caused by the toilet overflow to your plumbing and interiors. Our water damage Ojai technicians are IICRC certified to provide complete property restorations that will give your home a fresh start. For your further convenience, our water damage Ojai technicians will also help you file your claims with your insurance provider for your utmost convenience. You can rest assured that through our rigorous training, advanced equipment, and quick response we’ll make sure your home gets back to being safe, comfortable, and beautiful. For professional help with those leaks, just give the water damage Ojai team from 911 Restoration a call today!